Anxiety is characterized as constant worry, stress, or fear that is strong enough to affect and interfere with day-to-day life. Anxiety is a natural response to the many dangers in life although it often becomes blown out of proportion. Anxiety is said to be a fear of connection often resulting from a memory. Bad memories from early life, even if not consciously remembered, slowly begin to affect our lives. Whether we know it or not we begin to live in constantly fear of reliving those memories. The emotions, pain, or physical harm caused by these memories prevent us from putting ourselves in similar situations. Occasional anxiety is normal - positive even. It affects all of us everyday. It is our natural response to dangerous or potentially dangerous situations that keeps us out of harm’s way. Our brain is naturally always on the lookout for potential dangers - both those that may harm us physically as well as those that may harm our social standing or our relationships. Anxiety about ourselves can even be motivating and provide inspiration to push ourselves and achieve greater things. Anxiety about missing out on certain things or not accomplishing something in life can push us to start. Unfortunately, however, this response is often triggered into overdrive. Instead of helping and protecting us, anxiety becomes debilitating. Prompted by the excessive amounts of stimuli in modern day life, as well as the fact that many of us are not fulfilling our basic human needs for relationship, compassion, and health we begin to become anxious about everything. Small, trivial situations become blown out of proportion in our mind and a constant, vague sense of dread begins to control our lives. Life becomes plagued by uncertainty and results in the opposite of what anxiety should be a catalyst for- action . Anxiety about failure, inadequacy, or abandonment results in us remaining in our shells and prevents us from enjoying the pleasures of life, finding fulfillment, and contributing something meaningful to the world. Anxiety is becoming more and more common especially in youth. Many researchers are looking into this. Some have argued that this increase in anxiety is a result of the unnatural environment in modern life leading to a decrease in health and a lack of fulfillment. Problems like a lack of sleep, poor health, or even other things such as excessive light and poor sleep schedules have all been argued to cause and exacerbate anxiety as hormones become disordered leading to imbalances in the brain. It has also been argued that one of the major causes of the increase in anxiety is a result of the lack of work in modern society. Some have argued that it is actually the ease and high standard-of-living experienced by so many of us that results in us being unfulfilled. Our primal desire to seek out resources or to improve our standard-of-life often remain unrealized, thus leading to a constant feeling that we need to fulfill it. Everything from air conditioning to refrigeration has been argued to contribute subtly to this epidemic. Others have asserted that the cause of anxiety is excessive stimuli in day-to-day life. The constant noise and light of urban environments, computers, smartphones, the internet, television, billboards, advertisements, etc. all lead to our brain being constantly stressed. Due to this stimuli, our brain feels as though there is always something to be aware of and to look out for. Anxiety can cripple us. It leads to us being unable to fulfill our goals and also to a constant dread about life. Constant anxiety is crippling whether it is subtle or if it culminates in full-blown panic attacks. Working through anxiety can be difficult, however it is certainly not impossible. True improvements can be made to how you respond to stress factors in daily life as well as helping you to identify what these stress factors are. This can help you make changes in your life to help you respond to stress better and to prevent causing even more anxiety. In addition, therapy can help you to work through some of the underlying causes of anxiety in your life such as fears rooted in childhood. Fleshing these out and coming to terms with them is critical to reducing anxiety and identifying why it has become a problem in your life. In addition to understanding the causes unique to your anxiety, therapy provides essential help to realize our needs in relationship. Therapy provides us with fulfillment for our desire to be seen and heard. So many of us go through life never discussing our hopes, fears or dreams. Whether we fear judgment, that no one will care, that we have no one to talk to, that our words will be used against us, or that the other will not understand, therapy provides us with an outlet to let our thoughts be heard in an environment free from judgement and manipulation. Counselling provides an opportunity to work out what the deeper, underlying causes of our stresses and fears are. After all, one of the first steps to overcoming anxiety is figuring out why it is affecting your life in the first place. 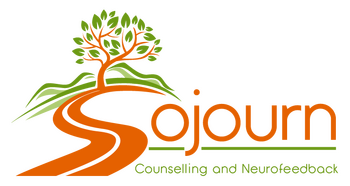 We therapists at Sojourn Counselling and Neurofeedback offer a safe and gentle space where we can work together with these charged and heavy experiences that keep you from reaching your full potential in life, relationships, and fulfillment. Anxiety can be crippling, and the causes of it do not disappear on their own. It is necessary that we understand and work with them, rather than trying to fight their existence. It is necessary that we understand why before going forward. Anxiety is more than “all in your head.” The fight with constant anxiety is an uphill struggle and there’s no reason to go it alone. If you are struggling with anxiety and would like to speak with a caring professional who can help you address it, make an appointment easily online. One of our well-trained Registered Clinical Counsellors will be pleased to help.